Are you missing out on potential SERVICE revenue? If your website is designed solely to promote your dealership’s vehicle inventory, then you probably are. Dealership websites have evolved rapidly to market far more than just vehicles. They now play an important role in promoting your service department and driving service revenue. According to the 2010 Google Automotive Aftermarket Study,40 percent of referrals to service-related sites come from search engines. Additionally, more than half of all consumers now report that they use the internet for research before taking their vehicle in for service. What’s more, from 2008 to 2010, dealership website traffic tied to service inquiries increased 150 percent. 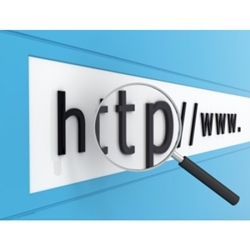 All of which makes your dealership’s website a critical source of potential service revenue. If you want your service department to get noticed by more consumers and keep more customers coming back, you should apply many of the same tactics that you’re already using to attract car buyers to your website and your dealership. To get noticed by potential service customers, your website and paid search campaigns should be optimized for service-related keywords that help your dealership stay on top of the search results, just as your website and campaigns are optimized for vehicle-related keywords. If your dealership has a blog or social media sites, be sure to incorporate service related posts. These posts will add SEO value and offer one more way to promote your service department. Once consumers find your website, make sure they can easily navigate to the service department. For maximum benefit, service department information and service specials should be displayed as prominently as vehicle information and vehicle specials. A recent J.D. Power study noted that consumers place a high value on convenience, accuracy, pricing, and availability from the service department. One convenience feature your website should have is an online form, similar to a vehicle lead form, that allows consumers to request a price quotefor repairs and services. In addition, most consumers now consider it a requirement to be able to book service appointments online. Meet consumers’ expectations by offering a way for them to make a confirmed appointment online that is set for a specific date and time and has an accurate price quote. Technology tools can help you effectively and efficiently build and maintain relationships with service customers; for example, adding a personalized service portal to your website will help your dealership appear more convenient and accessible in the eyes of consumers. This portal should offer features such as: allowing customers to schedule service appointments, check the status of a current service repair, and view vehicle service history at any time. Promote your service portal by having the salesperson introduce it to car buyers, before they even leave the lot with their newly purchased vehicle. When a customer visits your service drive, the cashier should schedule the customer’s next maintenance appointment using the portal. Your ongoing marketing efforts—everything from direct mail and in-vehicle advertising to email and mobile campaigns—should focus on keeping service customers coming back. Your dealership should go beyond traditional messages about service specials and “dollars off” coupons and feature campaigns that advertise your service portal, customer appreciation events, and service clinics. Also, consider campaigns that are designed to increase the number of positive online reviews for your service department. Each day, your dealership is competing against independent repair shops, other dealership service departments, and in many cases, the experiences that consumers have with other retailers. By applying the same online strategies to promote your service department that you already use for vehicle sales, you’ll get noticed by more consumers looking for service, keep more service customers coming back, and ultimately increase service department revenue.